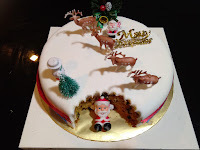 This beautiful fruitcake encased in rich fondant tells a little story of how santa has taken a bite off the cake. 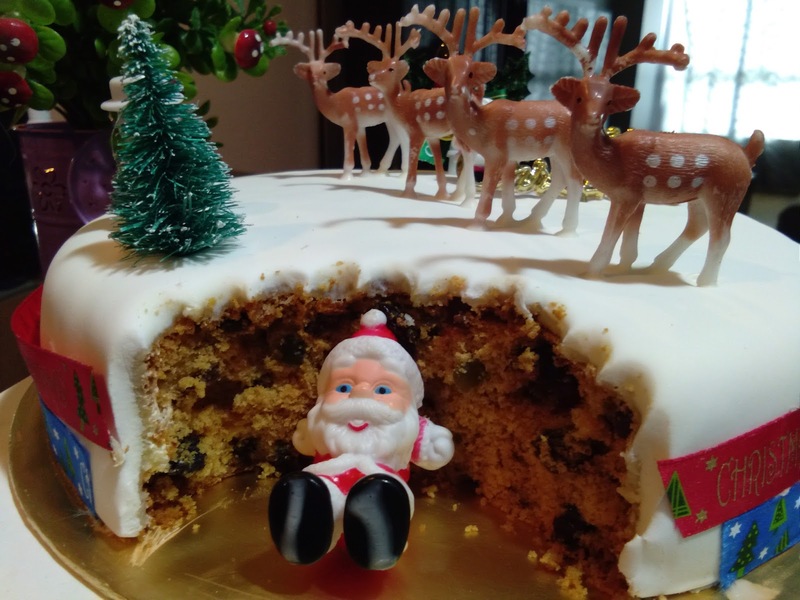 In American popular culture, it is common to leave cookies and milk (or eggnog, preferable the adult version) for santa to give ol St. Nick the refreshments he needs in his travels to bring gifts. The happier the man in red is the better (supposedly) your gifts will be. 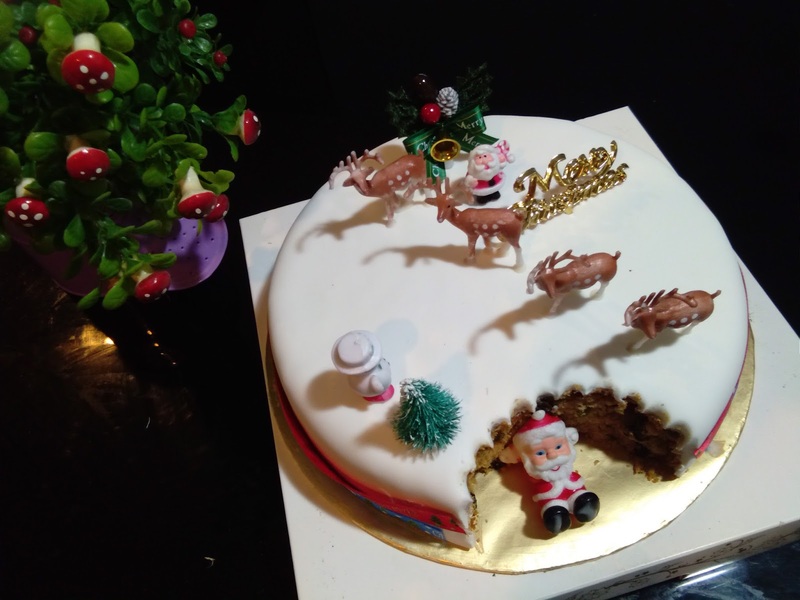 So this season, why not drop by Promenade and grab this cake (or other quintessential Promenade baked goods) while you can, and you’ll be assured that this year, Santa might just be a little bit more generous with his gifts for you.